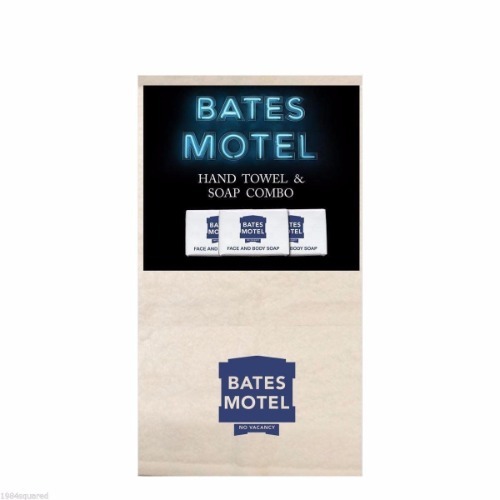 A&E Bates Motel Hand Towel and Soap Set. This quality novelty set features one hand towel, and three motel style hand soaps. A great gift for the fan you know! Includes one 16" x 28" Bates Motel hand towel and three 30 gram soap set embroidered logo.